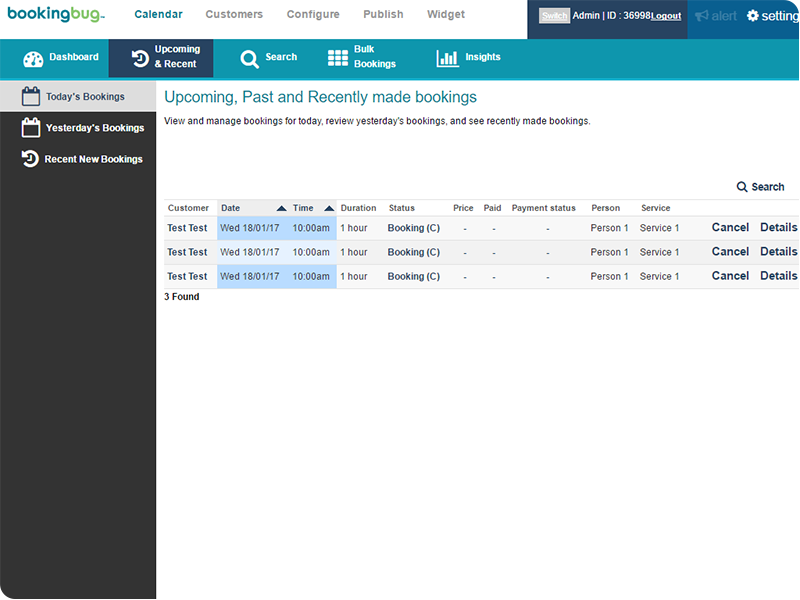 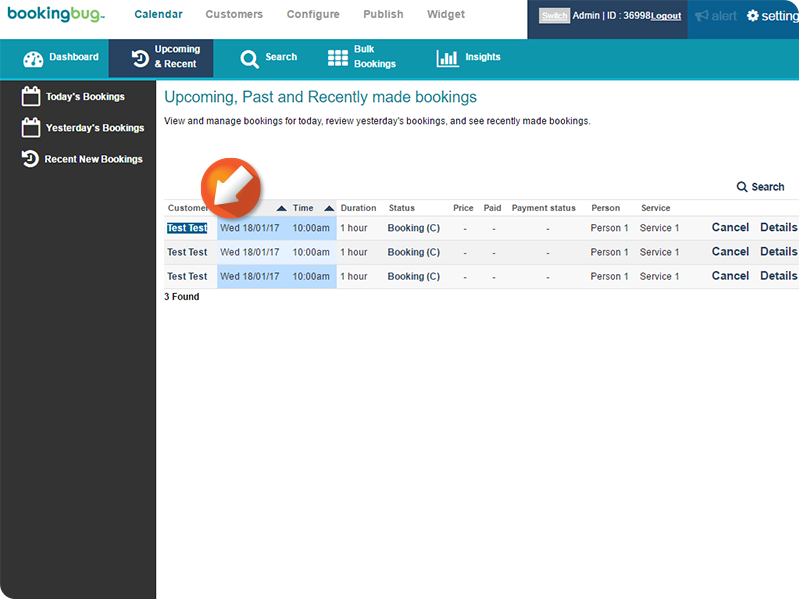 The Upcoming & Recent menu allows you to search, view, and edit your Business' past, present, and future Bookings. The Today's Bookings tab will display all Bookings falling on the current date. 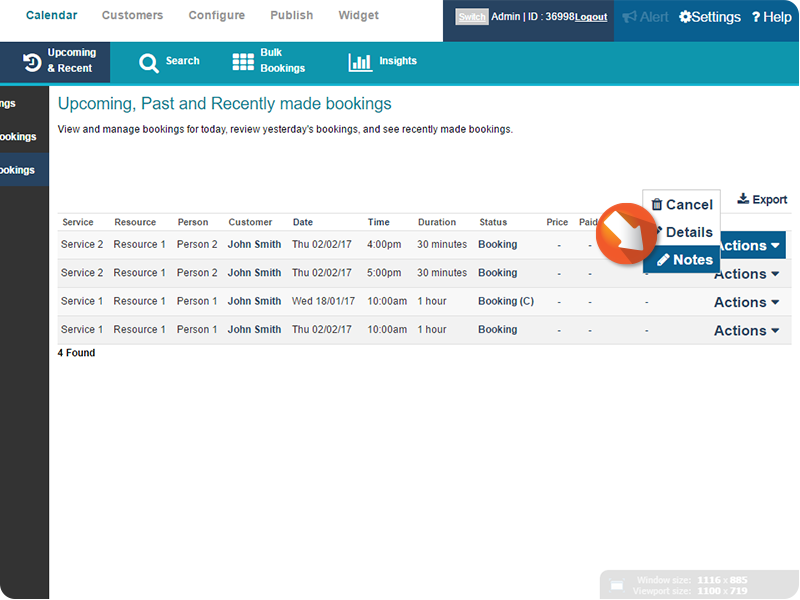 The Yesterday's Bookings tab will display all Bookings from the previous day. 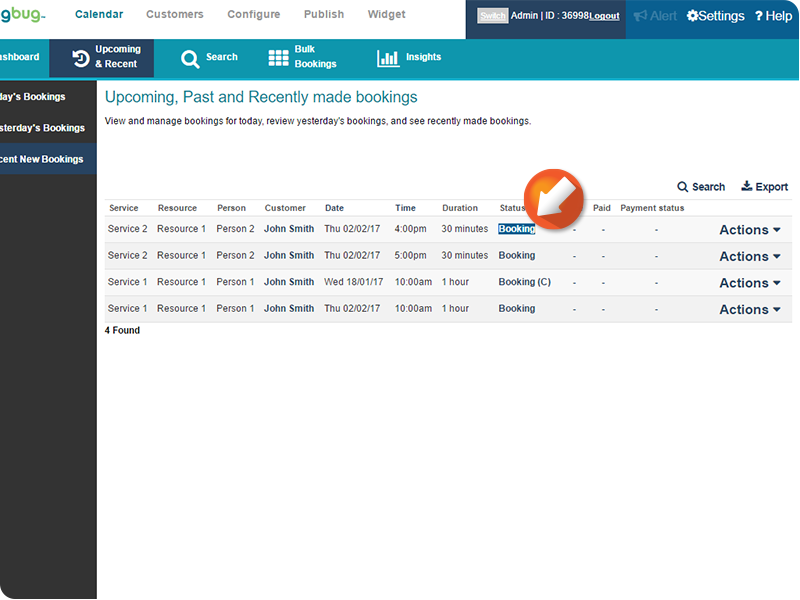 The Recent New Bookings tab will display all Bookings from the previous 3 day. 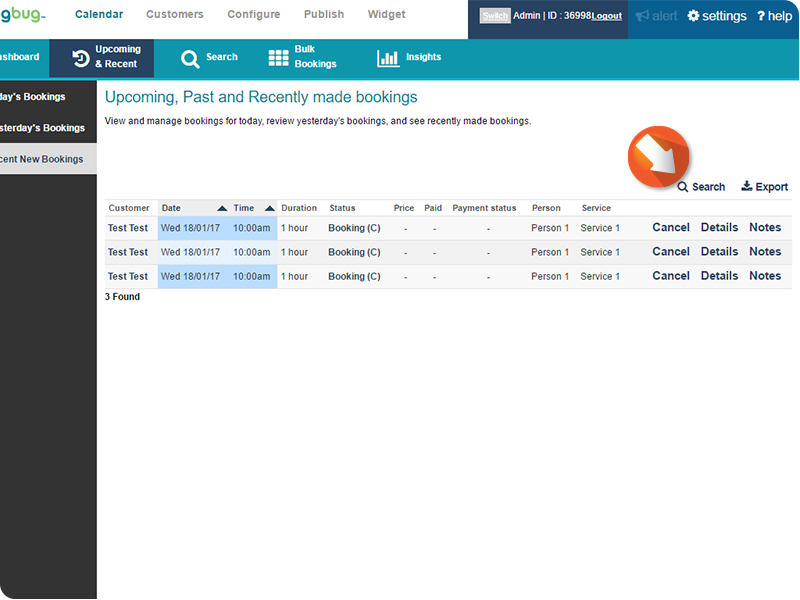 Click Search to search the list of Bookings, or Export to export a list. 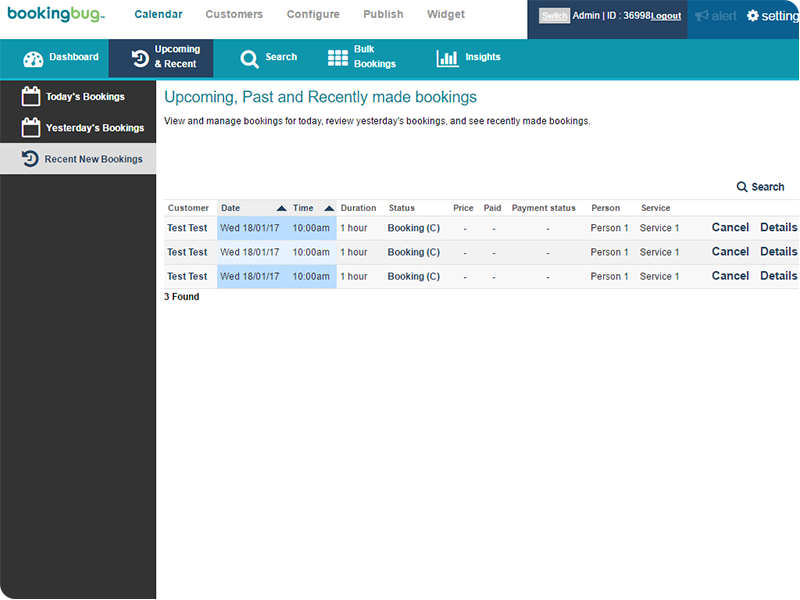 To view Customer information, click the Customer field next to the desired appointment. To adjust Booking status or resend a confirmation email, click the Status field to edit. 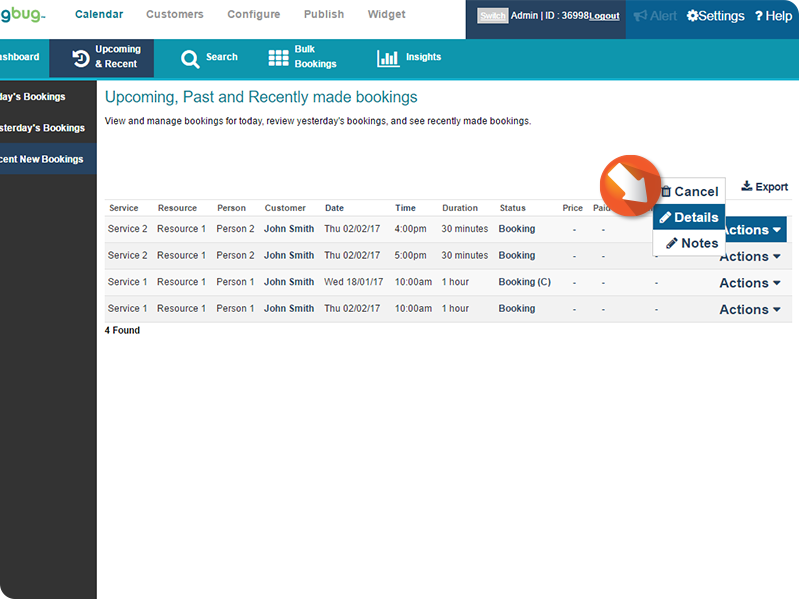 Mouse-over the Actions icon to view options for the Booking. 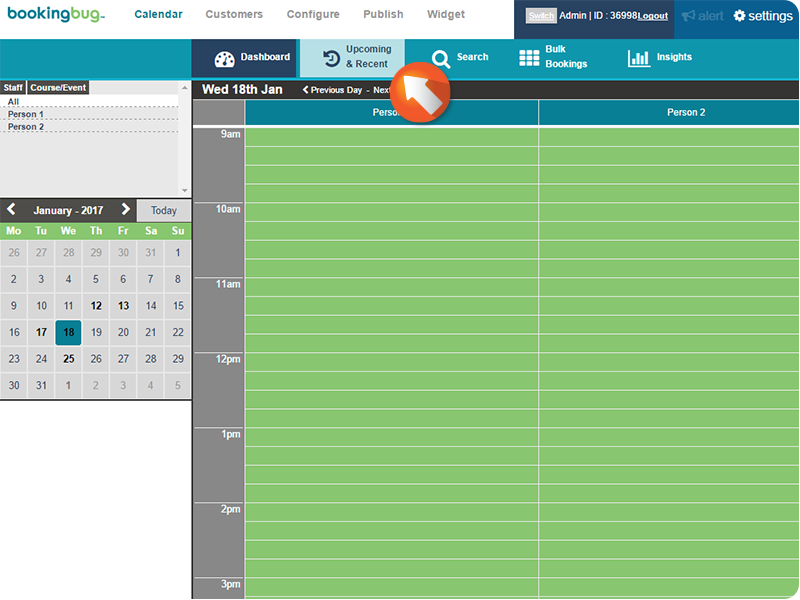 Click Cancel to cancel the appointment, Details to view appointment details, or Notes to view and edit appointment Notes.